Great job to all of the adult racers for pushing the limits out on Big Lake today! Thank you for coming out for our first Ice-X of the season and we hope to see you all back out at the next race on Jan. 24th at H&H Bar & Restaurant in Talkeetna! 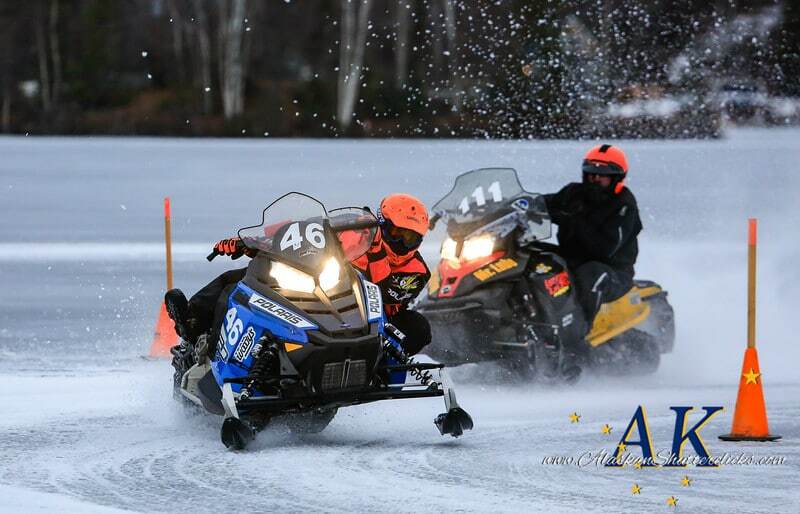 AMMC would like to thank Alaska Snowrider and Fish Creek Sales, for sponsoring the added payouts for our Pro Class. Also, thank you to our dedicated fans that have donated to the AMMC 100% Payout Go Fund Me campaign. Your support is greatly appreciated! !